Less connecting time between flights can increase the risk of you missing out on the next flight or losing your luggage. If you think 45 minutes is sufficient to get off from one flight and get on the other, you have got your calculations wrong. The ideal time to be kept between connecting flights is about 2 and a half hours. In large airports, the gates are often located far off each other and it may take a considerable amount of time to reach the next gate and check-in. Always allow sufficient room to make a smooth switch. Applying for the passport when there are just 2 to 3 weeks left is a recipe for trouble. The standard passport processing time ranges between 4 to 6 weeks. If you are planning to travel sometime soon in the near future, one of the first things you should do is check the expiry date of your passport and apply for one immediately if needed. Doing it at the last minute would not only cost you more but put you at the risk of not getting your passport in time for your travel. A huge blunder to make is forgetting the date, time, and airport/place for travel. These 3 basic travel details are highly crucial for smooth and efficient travel. Be careful and triple check them in order to avoid issues like long layovers, missing out on your flights, trying to leave from the wrong airport and wasting precious time. 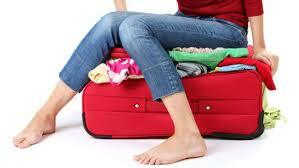 Overstuffed bags can be a major source of trouble. Your airplane allows carrying a limited weight only and any excessive baggage is fined. If you have over packed your bags, not only will you have trouble carrying around your heavy bags on a crowded airport, it could get you in trouble with the security personnel too. Try to limit your luggage and carry essentials only to keep off all this added trouble. There are increased chances of falling ill abroad. This could be due to a change in the weather conditions, accidents or any sudden medical issues. Getting a travel medical insurance beforehand can help you save up on medical expenses incurred abroad. If you do not obtaining ones, the medical bills can cause a pinch on your pocket. When you are visiting a new place, you are definitely excited about the number of tourist opportunities and things to do there. Planning your trip and making the most is important but it is important to plan realistically. If you plan too many things in a single trip, chances are not you would not be able to enjoy anything properly in hopes of trying to rush up and covering up on the remaining list. Before applying in any country, read up their visa requirements. If you miss out on these details, you may end up not getting a visa at all. Visa requirements can include a passport with 6 month validity or an outbound ticket. Make sure you check these out! Choosing to travel during the peak season ultimately means more costs. As more people are willing to travel, the details for accommodation, tickets and other travelling related commodities is high. You have limited options to choose from and need to pay a higher price to get a booking. When one is visiting a completely new place, it is important to read up on their language, customs, traditions, holidays, major events, religion and stuff. It helps you communicate with the local people, build connectivity, enjoy your travels and plan your trip carefully. Major events and holidays can make the travel expensive as hotels and mediums of transportation are overcrowded. Letting your phone stay on roaming can cost you heavily with cellular roaming charges. There are a number of means to use instead of using your cell phone. You can get a local SIM, phone credit, a temporary international plan or perhaps, use Skype! 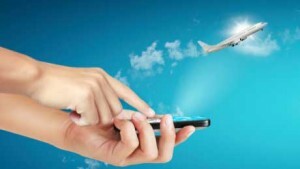 If you reach abroad and realize roaming is on, turn off your phone and save up on the expenses.